Crackers lights sweets and the happiness is everywhere! Diwali is the most celebrated festival in India. It is one of the most awaited days of every year holding a different excitement for every person and also carries a lot of significance in the Indian mythology. People of different age groups have various reasons to cherish the festival of Diwali. On the one hand, where children look forward to this day to burst crackers and have loads of fun, similarly, on the other hand, the elders of the family mark this day as an essential day to seek blessings of goddess Lakshmi and Lord Ganesh by worshipping them. They pray for prosperity and wealth. At the same time, the ladies peculiarly focus at the decoration of the house for the festival and make it look the most beautiful. Decorating homes and workplaces on Diwali is a traditional trend. Since Diwali is considered to be the day which holds evidence of winning goodness over evil and victory of brightness over darkness hence; everything is lightened up on the day. Houses decorated with lights, diyas, candles, rangoli and many more decorative things. However, you need not decorate in a typical way always. 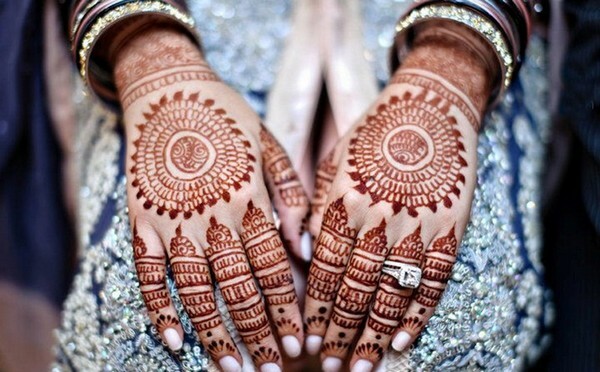 Instead, you can always add some newness to the tradition. Thereby, in this article, we will be giving you some superb ideas of how you can embellish your home and office this year by using the same things but in an innovative way. 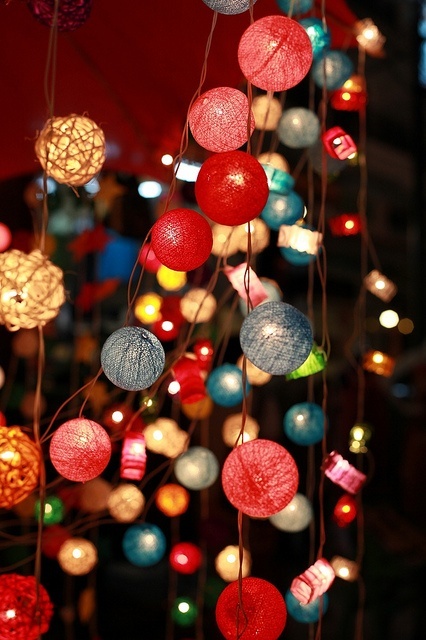 Many items can be used or reused for the purpose; like Diyas, flowers, lanterns etc. 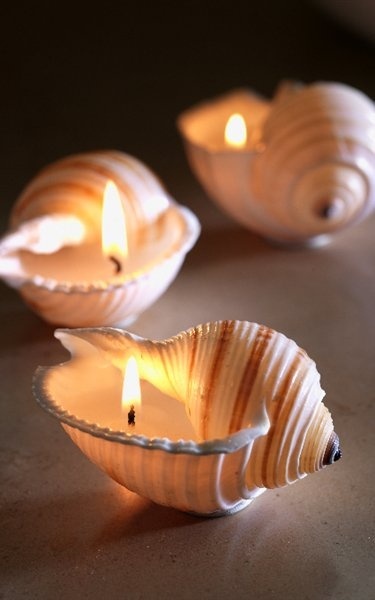 Diyas hold the most prominent place in the celebration of Diwali. It is because the masses of Ayodhya lit uncountable earthen lamps of oil to welcome back Lord Ram after the 14 years of his exile. In this way they celebrated his victory over Ravana from protecting Sita from his abduct. Looking at the significance of this occasion, it would be a great idea to renovate the diyas and use them to decorate the houses on this Diwali with a blend of new touch & the old trend. Typically, conventional diyas are made up of brown clayey soil. However, nowadays many coloured diyas are also available in the market. Decorated by the craftsmen and looks ravishingly beautiful. The other idea could be to renovate the diyas on your own too if you wish to. All you would need to do is to paint it up with beautiful colours simply, stick some kundans and pearls like decoratives and deck up using ceramic cones or sequences etc. 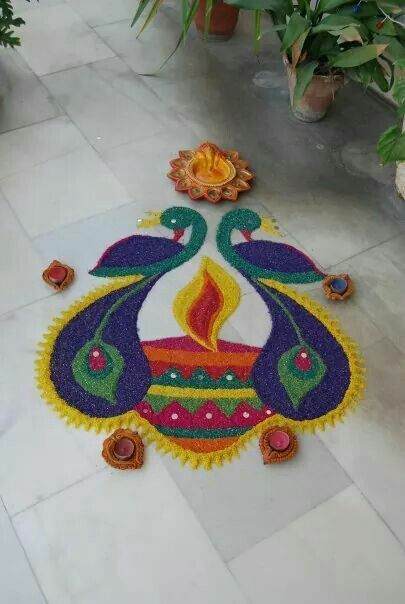 Again as a tradition, Rangolis are made on the entrances of houses and offices. Since the goddess, Lakshmi visits homes on the day of Diwali and stays in one she likes the most which lead to the heap of wealth and happiness in that family. 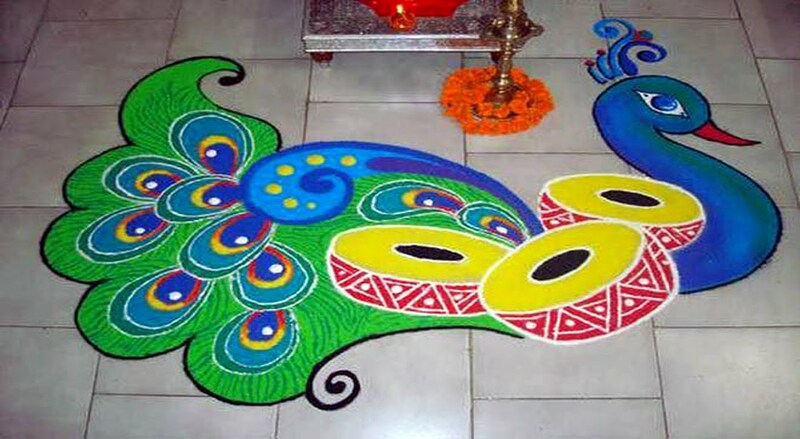 Rangolis are astonishing work of art that blend various colours into patches of varied designs and beautifies the entrance floor of the house to welcome the goddess. You can be as creative as you want to be while selecting the design or pattern of the rangoli. 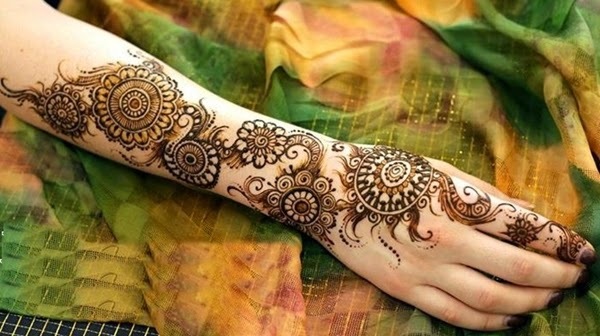 You can design it with colours, flowers or diyas or whichever manner it is preferable for you. Diwali is the festival of shines and glitters. Therefore, decorative LEDs and other lightings are the perfect way of illuminating the houses and celebrating this festival of lights. 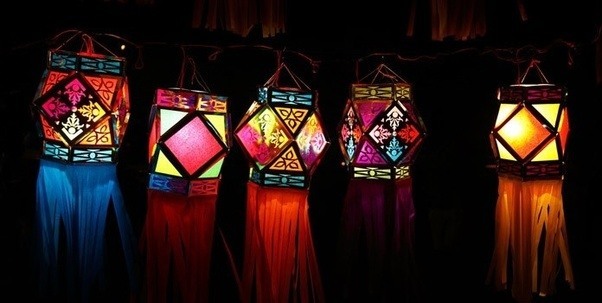 Buying some new lampshades and colourful lights to decorate the outer of your home would just be the perfect investment to be made on this Diwali. While choosing the lampshades opt for a variety of shades and colours as they would look magnificent on the outdoors of the home. 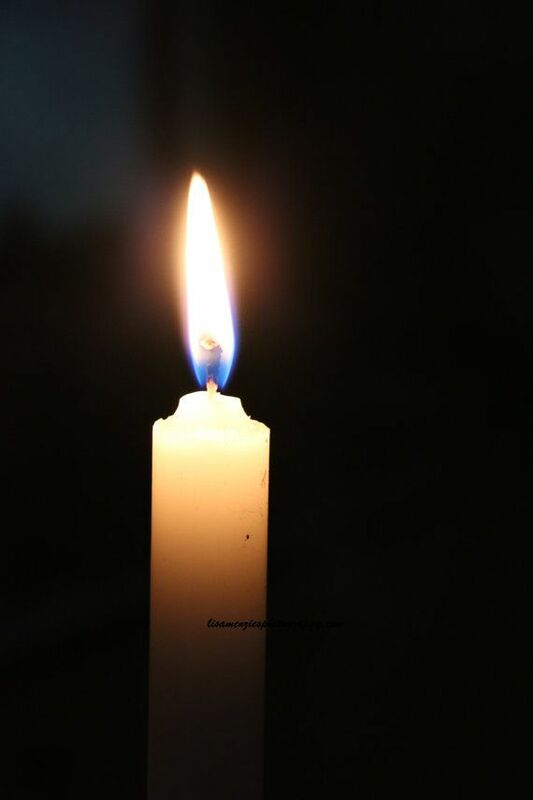 Another most creative source of light is candles. Do you think what’s new about it? Well, here we aren’t talking about the regular candles but the decorative and colourful ones. You can place a few floating candles on the front table in the bowl of water and flowers; it would give an elegant touch to your drawing room. Along with that, different types of ethnic, contemporary and wooden candlesticks and even candle holders are available in the market. All these decorative when added to your drawing area of your home or the reception area of your office, they are sure to make a ravishing décor. You can also fix some lovely colourful candles alongside the rangoli designs, and it will enhance the rangoli’s charm. The aroma and beauty of flowers will be amazingly beautiful to decorate your home or office and add freshness to the air and mood. It is no doubt that flowers lighten up the environment and spreads good positive vibes all around. Therefore, decorating your home with flowers on this holy day will be a noble idea. 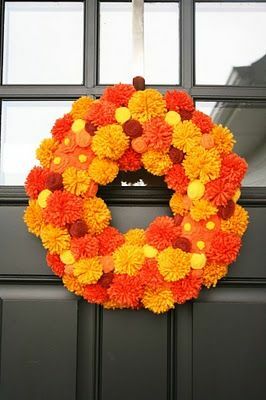 You can use colourful flowers instead of colours to make your rangoli, or you can even prepare wall hangings of flowers called ‘Bandarwals’ and hang them up on the entrance doors to decorate them. The other most standard way to decorate your house with exotic flowers is to put them into beautiful vases. At this point, the market is full of beautiful handcrafted wall hanging, wind chains, and other such masterpieces that can contribute to the maximum in making your house look breathtakingly beautiful. There are a lot of varieties available in the market and so making a choice is not a difficult task. Now that you have such fabulous ideas to decorate your house we wish you would use it in the best way and make your home to appear the best in your locality thereby earning praises from one and all who visits your place. So, get ready to be envied by your neighbours this Diwali! Also, share if you have any other unique ideas.